#aragonite. I hate to admit this… but I've never really been fond of this little guy. Then I was told that it's my personal stone and I accepted a gift of one and when it was placed in my palm, it zapped me 3 times up my arm so hard I jumped. Like a #taser gun. Lesson learned, I will never judge a crystal by its appearance again. Our sister store www.saltandair.com is stocked with these babies and more! 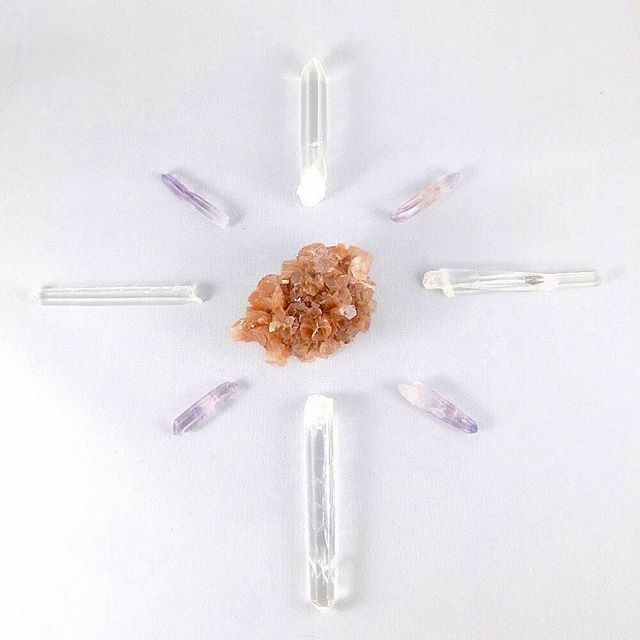 There are quite a few crystals on the site we don't have in the store, and limited in supply!